I don't think I ever really have a chance to just sit down and share little bits about my life with you guys reading as much as I would like to, so I thought it might be nice idea to trial out something new on the blog this week. It is my aim to spend a bit of time each evening keeping a kinda weekly journal and sharing a few things that I get up to during the week with a few pictures and little ramblings, for you to gain a better incite into the wonderful world of James as I try to experiment with new things and start making the most out of life rather than moping around in my pyjamas and watching Netflix all day! It also feels nice just chance things up a little and have a relaxed informal chat to friends. I can't promise one every week due to my ridiculously busy schedule but hopefully this will turn out to be a fun way of helping you get to know me a little better! I have been trying really hard recently to drink more water on the road to becoming a more healthy person, which is easier said than done, especially when the water where I live tastes like crap. Due to this, I have been trying out different alternatives to help me, including adding a little fruit to water for a sweeter taste without added sugar. I absolutely love the citrus taste of lemon and lime which is a personal favourite of mine, but you can literally add anything that takes your fancy! 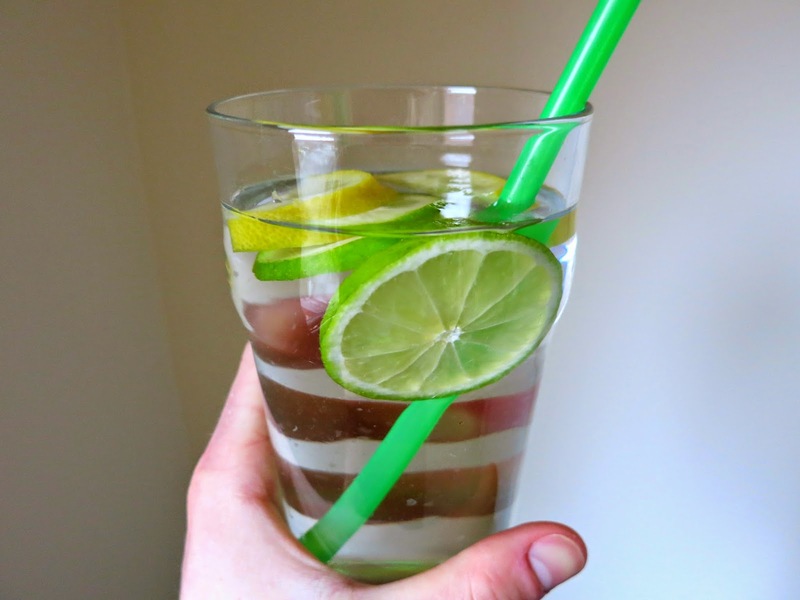 Flavoured water so much easier to drink and adding a straw is a lazy person's way of making you more inclined to keep taking effortless sips. Warning: You will pee a lot! I started running again after a period of really weird reoccurring stomach cramps which have pretty much plagued my life for the past couple of weeks, I always find starting up again is the hardest part, especially when you've gotten used to being so lazy for a long period of time. My usual running route along a huge open field with amazing views of the city (but scary horses that chase you around) called 'the common' was pretty much like running through a boggy swamp and I struggled not to lose my shoes from being stuck in the mud a few times, but it was a good challenge! I'm one of those completely crazy people who really wants to do a 'tough mudder' some day, it gives you something to train for and actually looks pretty fun getting covered in mud! 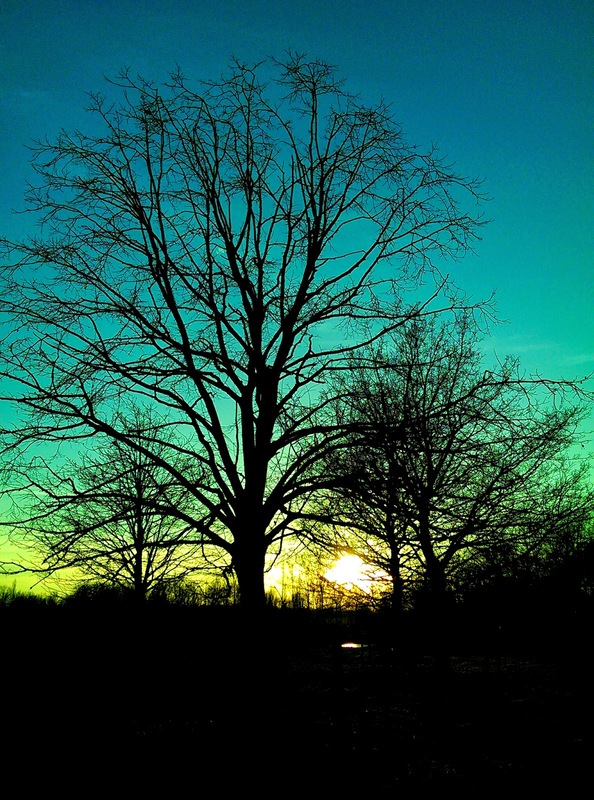 I like to go running in the evening as a stress relief from the busy day, especially in the winter when there always seems to be pretty impressive sunsets, and managed to take a nice wintry looking silhouette picture of the trees just as the sun started to go down. Today I discovered a wonderful new album which I cannot stop listening to and I totally recommend you check out for yourselves, called 'Coming up for air' by Kodaline. 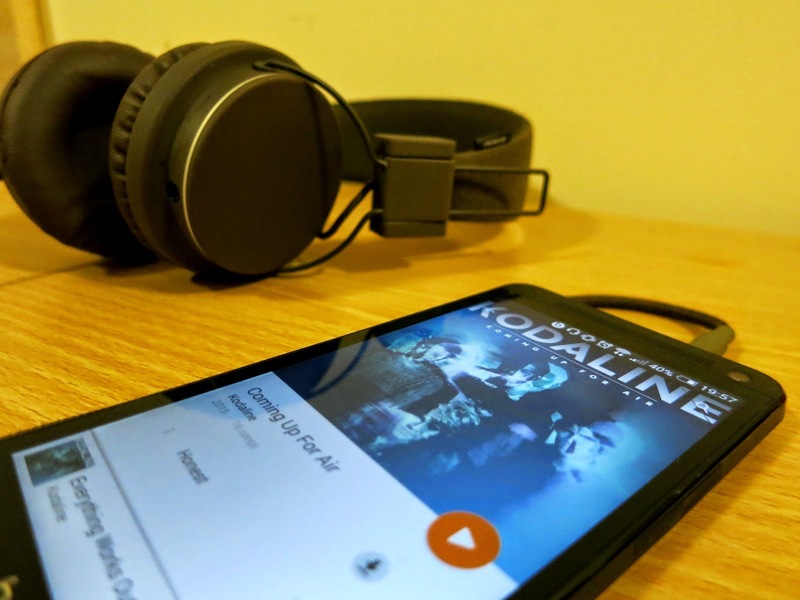 I have always had a soft spot for Kodaline, they are definitely one of my 'go to' artists when I am feeling stressed and in need of some musical relaxation therapy, something that has been happening a lot lately with university life getting increasingly more stressful. Sometimes its just nice to put on a pair of headphones, lay back on a comfy nest of pillows/blankets and just get lost in the music, forgetting about the world for a little while. Another album that I have been absolutely loving recently is 'American beauty/American psycho' by Fall Out Boy, another one of my favourite childhood bands but, in my opinion their old music was most definitely a lot better (don't hurt me for saying that)! 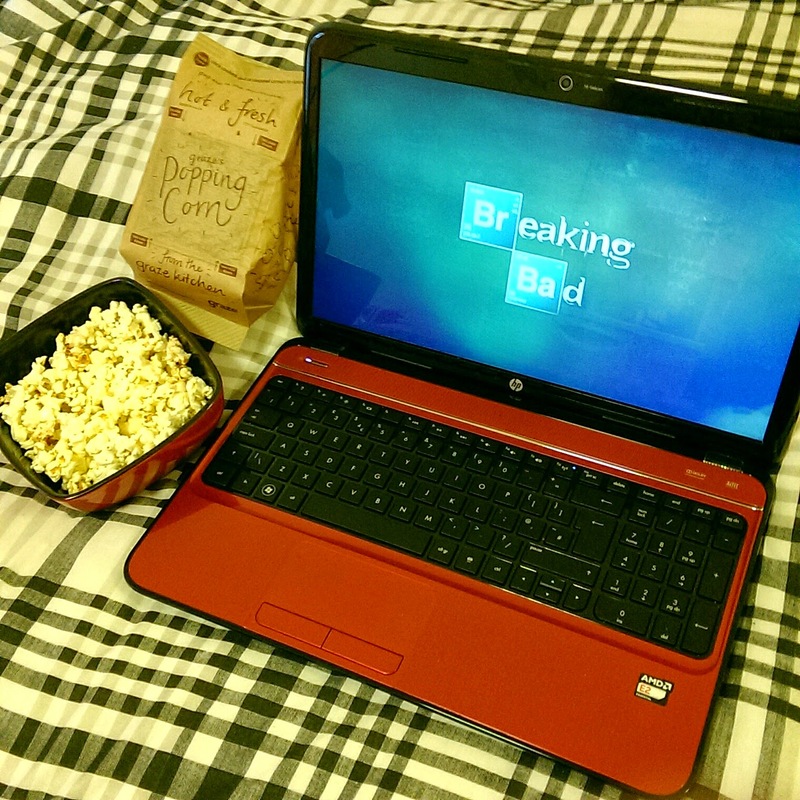 Sometimes you just need to take some time off to kick back and relax after a stressful day and I like to do this by enjoying and evening of popcorn and Netflix. If you're like me you get a craving to munch on something while sitting through a TV series marathon or watching one of your favourite films and I find popcorn makes a great light and anti-calorific snack, plus Graze popcorn is absolutely delicious (it has to be sweet popcorn of course)! At the moment I am still working my way towards the end of 'Breaking Bad' (it's not like I started watching it 5 months ago or anything), but I always find myself swapping between TV series, so I'm also loving 'Better Call Saul' and I am also a huge fan of 'The Walking Dead' which just started up again! I thought that today I would tell you a little more about my degree, which I am absolutely loving at the moment. 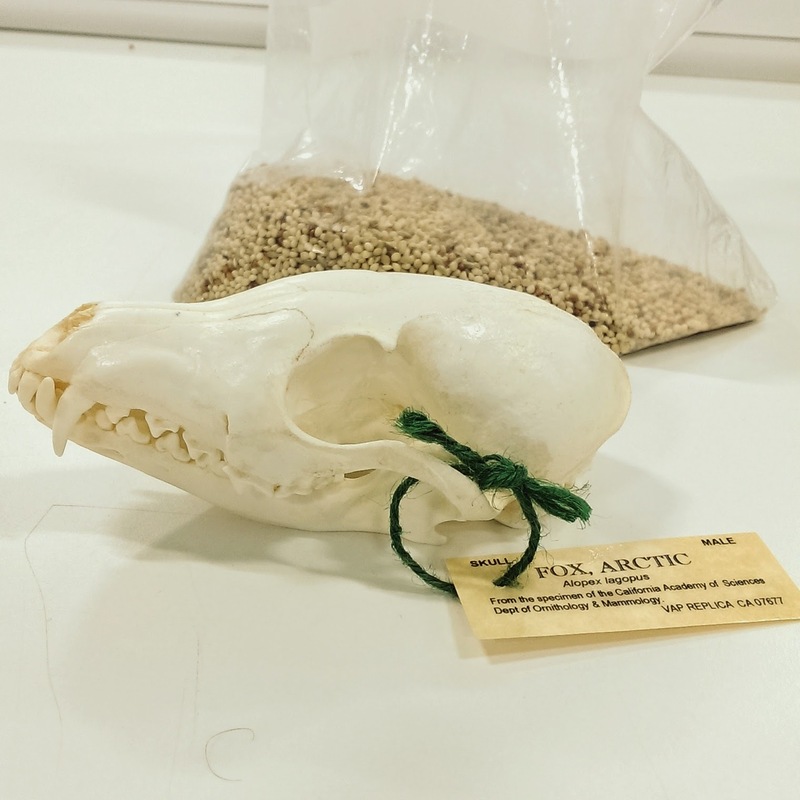 I study biology at the university of Lincoln and, if you couldn't already tell from my blog, I am a complete animal lover which is why I picked a course that is heavily animal based. Don't believe anyone that says it is easy because university is a whooole lot of work, but recently getting a 'first' in all of my exams, after a lot of stress and sleep deprived nights, has inspired and motivated me to keep working hard and come out with the best degree possible. I have been looking into a career in journalism or conservation, two things that have really caught my eye, but the truth is that I don't really know what I want to do with my life after university.. but I do think that its quite exciting having the power to control your future and not knowing where it is going to take you, you are the creator of your own destiny after all. Ever since investing in the blend active, I have been going absolutely smoothie crazy. 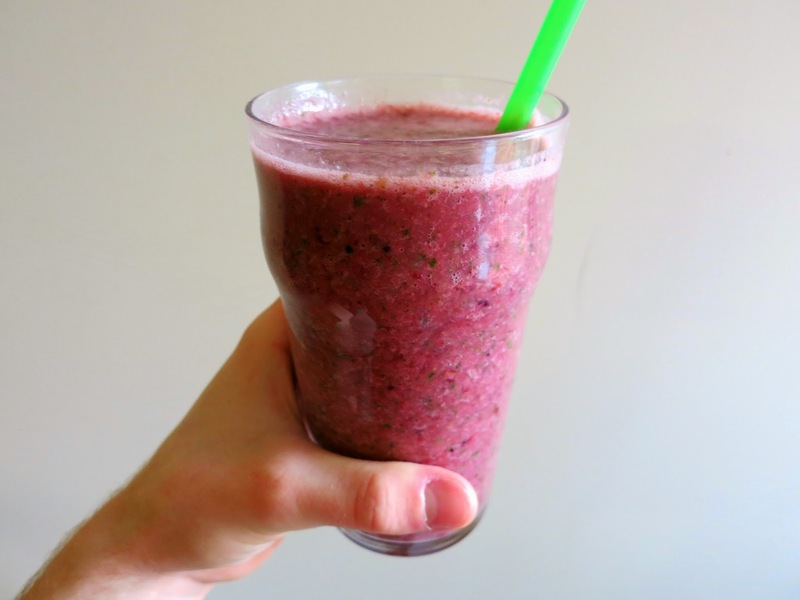 You can literally put anything into a smoothie, they are a great and tasty way to get more fruit into your diet if you're one of the crazy people like me aiming to live a healthy lifestyle. I have also been trying to go to the gym a lot more recently, I am finally seeing a huge change in my appearance and for the first time in my life I am actually starting to feel happy with my body. My aim for this year is to eat healthily, work hard in the gym and end up with a body that I am happy with by the summer, while also having a little more self confidence in my appearance, something that I have always really struggled with. If you like the look of the smoothie above then stay tuned for next week's blog post where I will share my first healthy smoothie recipe! I hope you have all had an exciting week, I would love to know some of the things that you got up to!